Pub. Date: Jan 6, 2010 by Prentice Hall. 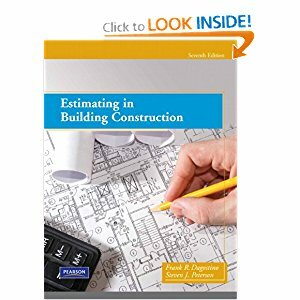 Appendix A: Drawings and Outline Specifications for Small Commercial Building. Appendix B: Drawings and Outline Specifications for Residential Building Project. Appendix C: Drawings and Outline Specifications for Commercial Building Project. Appendix G: WinEst Software and Spreadsheets. The link is dead. Please share. Thanks in advance.